We've heard it many times - words are powerful. Words can trigger an audience to think and feel in a way that immediately initiates action. Words in your content and social media posts are no different. Using words that connect with your audience has the power to increase engagement, and transform a blog post into a highly optimized and searched piece of content. Whether you’re writing an email newsletter, social media post, blog copy, a press release or and even visual content – you need to integrate the right words. I call these TRIGGER WORDS. Trigger words have the power to transform your business more than anything else. Why? Example: I am an expert in branding, marketing, and PR because I simply say that I am and I started writing copy that reflected this statement. I also have 10+ years of experience to back up what I talk and write about. But it’s my own perception in my writing that allows others to perceive the same thing. Trigger words, together with other elements on your page, have the power to transform your blog into a defining brand. The right words are a paramount part of your content strategy and should be the driving force in how you connect to your ideal reader. When you are able to attract and connect, you are able to grow. 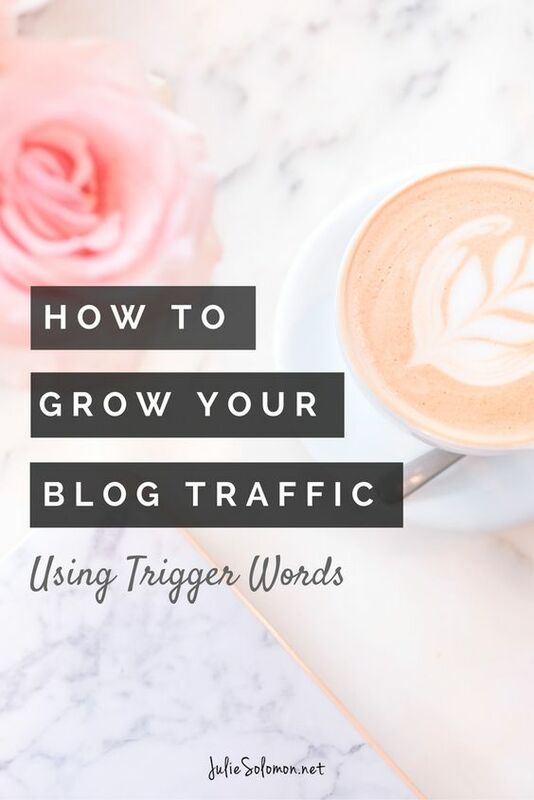 Start using trigger words in your copy and content, and you may be surprised in how much your engagement and traffic grows! 2) Think about words that your family and closest friends would use to describe you. These can be adjectives or other words that describe elements of your personality. 3) Think about words that your business colleagues would use to describe you. Words that define our performance, your enthusiasm, your passion. 4) Think about words that excite you, make you happy, challenge you. 5) Think about words you see other people use that connect with you and draw you in to want to follow them. These are words that are triggering you, so equally important to note. Here are some of my trigger words. I have about 50 or so words on a sheet of paper that I keep on my desk at all times. These words help me stay in line with my beliefs, my passions, my goals, and my brand. For your own Trigger Words worksheet, sign up below. Use this worksheet as a way to collect your trigger words. Print it out and leave it somewhere that is readily seen when you are creating new content. Feel free to add or omit as the year goes on! How do you use words to attract your tribe? What have you found that works well, and what have you found that doesn't? Any advice to share with us? Please leave your comments and thoughts below by clicking the "comment" button at the bottom left. I would LOVE to know what questions, problems or struggles you may have when it comes to pitching, branding, blogging and growing your following. Please share your thoughts in this quick survey that will help me get to know you better! I am excited to connect with you and learn more about your story and brand! This is my way of serving your needs as an influencer and entrepreneur, so you can get to know me better. I’m hoping you’ll do the same! Please, introduce yourself on Instagram, Facebook, Pinterest, Twitter.